Wildfires are now becoming political. In fact, a Napa state senator is pushing a bill that would set new rules about who pays to fight a fire if a public utility is at fault. NBC Bay Area Political Analyst Larry Gerston reports. Debate over legislation to prevent California wildfires and allow utilities to pass along costs to ratepayers is going down to the final hours as the lawmakers face a crucial deadline on Tuesday. A legislative conference committee met late Monday but fell short of an agreement. The panel has debated for weeks whether to shield utilities from liability when their equipment causes wildfires and how much of those costs can be passed along to their customers. California utilities are held entirely liable for fires sparked by their equipment, even if they followed all safety standards. Lawmakers rejected changing the strict liability standard for utilities. But they have proposed allowing power companies to sell bonds to pay off wildfire-related debts and pass along the costs as a surcharge on utility bills. The issue is especially acute for Pacific Gas & Electric Co., which expects to pay billions of dollars related to lawsuits after wildfires tore through Northern California last fall. Several blazes have been traced to PG&E equipment, though investigators have not released their findings in the most expensive fire that destroyed thousands of homes in Santa Rosa. A key question for lawmakers is finding a way to apportion liability between the company's shareholders and customers. Several lawmakers said they want to put as much of the burden on investors as possible without driving the company into bankruptcy or triggering a downgrade in its credit rating. "Those profits have to come back," said Sen. Hannah Beth Jackson, D-Santa Barbara. 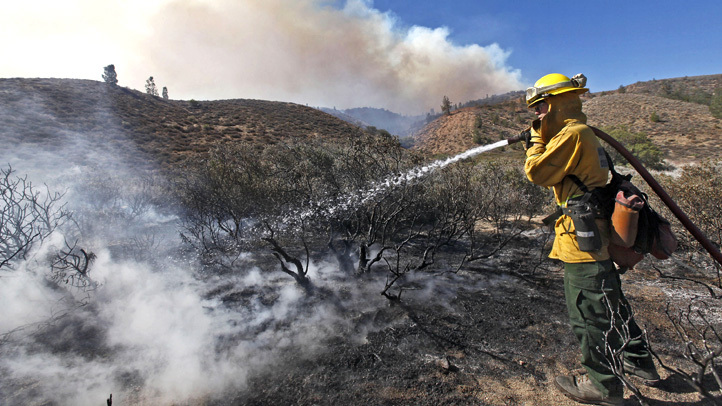 Lawmakers disagreed over how much to spend on forest management, including prescribed burns and removal of dead and dying trees that fuel large fires. The latest draft included $190 million in each of the next five years, but Assembly members demanded $300 million. 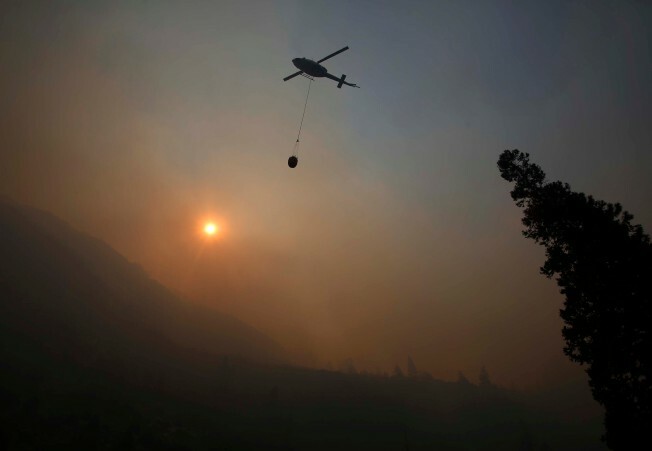 Democratic Assemblyman Jim Wood, whose coastal northern California district is the site of a current fire that is the largest in California history, said he wants the money to be guaranteed for future years, not the subject of budget talks every year. "I don't think I could settle for less than that," Wood said. "I want the guarantee. We deserve the guarantee." Bigger fires, dirtier air and more flooding. That’s the crux of the stark warning in the latest University of California climate change report released Monday by the governor’s office. Mark Matthews reports. Lawmakers must finalize the bill on Tuesday in order to vote on it ahead of the Legislature's constitutional deadline on Friday.